Bring a touch of Scottish flavor to your table, in your home, or at a special occasion or event, with our quality offerings of Checkered Tablecloths and tablerunners. The high quality, 100% polyester tablecloths are available in a wide range of color and shade choices, and offers an extensive choice to the users to create a fashion statement with their table settings.. The plaid tablecloths provide high-end durability, with comprehensive stain and wrinkle resistance. 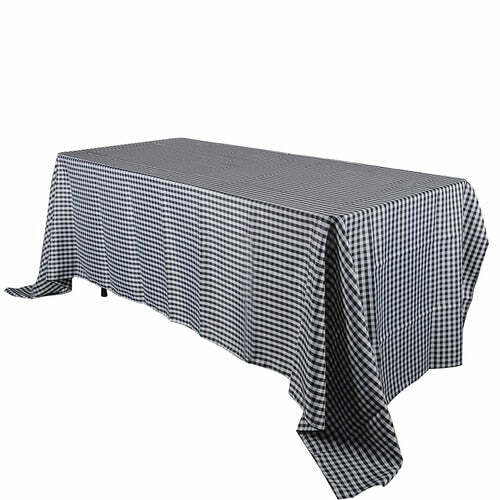 Perfect to be used in homes, events, or at restaurants, these tablecloths can be matched with contrasting plaid table runners to create an elegant and impressive appearance. These tablecloths come with a one-piece finish and provides a clean finish. Buy now at cost-effective prices, with fast shipping service.